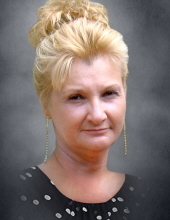 Vicky Sheffer, 60, DePere died unexpectedly November 27 from a brain aneurysm. Born June 30, 1958 in Green Bay, she was the sixth of 8 children born to Edgar and Viola (Gee) Bruening. Vicky was a graduate of Preble High School. She was very proud to be the mother of her two sons, Brian and Brad. Vicky worked for many years with EDS and continued her employment with them as Associated Bank, where she was a Distribution Specialist. Vicky married Paul Sheffer on June 4, 2005 – they had known each other since they were children growing up in Bay Settlement. Paul and Vicky enjoyed traveling to Jamaica and Mexico, kayaking, taking the pups for walks, and camping trips with Brian. She loved and spoiled her puppies, Sissy & Buddy, they lit up her life and she lit up theirs. Her secret pleasure was watching “Bravo” television. Vicky is survived by her husband Paul, her sons, Brian and Brad, her sisters and brother, Kaye (Ambrose) LaBrosse, Connie (Henry) Bukoske, Mark (Darlene) Bruening, Lynn (Mike) Kane, Lori (Tom) Growt and many nieces and nephews. She is preceded in death by her parents, her mother-in-law, Nancy Van, father-in-law Lloyd Sheffer, two sisters Gayl Henquinette and Dawn VanOoyen, and her sister-in-law Debbie Sheffer. A memorial gathering celebrating Vicky’s life will be held at the Rite Place in Bellevue on Saturday, December 1st from 11am to 1pm. Ryan Funeral Home is assisting the family. To send flowers or a remembrance gift to the family of Vicky Sheffer, please visit our Tribute Store. "Email Address" would like to share the life celebration of Vicky Sheffer. Click on the "link" to go to share a favorite memory or leave a condolence message for the family.